Add $5 in free concession snacks to your gift card purchase of $50 or more when you enter this promo code at checkout. Shazam! Free gift with purchase. Get your tickets for Shazam - receive a free digital comic book from DC Comics. Captain Marvel - now in theatres. See the thriller that sets up Avengers Endgame. Get your advance tickets now for the end to the Marvel Comic Universe. Fandango VIP: Earn 125 points on every ticket you buy. Rack up 500 points and you'll score a $5 reward for more movies. Insider Perks with Fandango VIP membership. Join for free now to get access to insider perks like discounted movies, exclusive gear, and more! Check out our affiliate partners for additional rewards available for Fandango VIPs. Fandango VIPs get guaranteed advanced tickets with hassle free return or exchanges. Gift cards available for every occasion. Give the gift of movies to that special someone. Purchase a $25 Fandango gift card and one $25 Olive Garden gift card, sent in one email. Sign up to get exclusive VIP promotion codes for various rewards. Fandango is one of the top movie ticket companies on the internet. The company operates an e-commerce movie site, fandango.com. 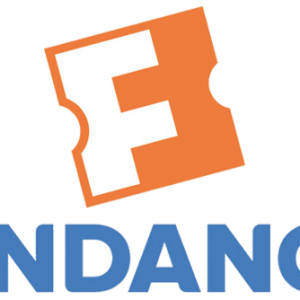 Fandango offers its products and services in the movie ticket sector, issuing promo codes and discounts to its customers. They have a good reputation, with a 36 rating on Knoji and 4.3 stars. The company scores significantly higher compared to other famous competitors in the movie ticketing industry. Fandango boasts more than 17 features on its e-commerce platform to offer the best for its customers. The primary objective of Fandango is to be your preferred online site for buying movie tickets, watching short movie clips, reading news, and reviews. Fandango has a strong fan base reaching 36 million every month. Fandango was founded on the 27th of April in 2000 by Regal Cinemas. The company is headquartered in Los Angeles, California, United States. The company CEO from 2012 to date is Paul Yanover. It’s parent organizations are NBC, NBC Universal and Comcast. Today, Fandango offers tickets for more than 26,000 movie screens spread across the world. Fandango has made it easy for fans to buy tickets, get news and have fun through its website, TV apps and mobile apps, and social media presence. Are you ready to join Fandango and take advantage of the coupons? It’s very easy – just visit fandango.com, look at the website’s top right-hand side for the button ‘Join FandangoVIP’ and click. You will be redirected to a new page to enter your membership details. That’s all! Besides using Fandango coupons, the next best way to save on Fandango is to join the Fandango VIP club. It might sound too good to be true, but you get rewarded for watching movies with the VIP club! When you join, you are given access to advance box office, downloads, reward points, guaranteed availability of tickets, exclusive Fandango coupons and free screening. The higher the number of movies you watch; the higher the points you earn on the site. When you combine the several Theatre Reward cards with the VIP club, you get coupons to get you free movie tickets and free food. You can join FandangoNOW for free. You get to enjoy everything you need for your fun including classics, new releases, and TV shows. Benefits include watching absolutely free anywhere, access to more than 70,000 TV shows and movies, and rentals for a paltry $0.99. Fandango offers you several ways to contact them including web, chat and phone. Fandango customers prefer to use the live chat feature because the wait time is usually shorter than when making a call. You can find the live chat on the Fandango site or on the app. Alternatively, call Fandango through customer service number 866-857-5191. You can also contact Fandango through their social media pages. Fandango is very social, with over 2.5 million likes on their Facebook page, 243k followers on Twitter, and 189k followers on Instagram amongst others. The company uses the handle @Fandango on all social media channels. Note that Fandango is a busy site that provides service to hundreds of thousands of customers across the globe, so sometimes it can take a little while to get through the customer service queue. Are Fandango Tickets refundable? Yes, Fandango tickets are refundable with some restrictions. You are allowed to request a refund for the whole order, however there will be a nominal convenience fee subtracted from the original amount. You also need to request the refund before the posted movie showtime. You may be required to contact customer service for some refunds, and some transactions do not qualify for a refund at all. Fandango have a non-refundable convenience charge, so that they can keep giving their customers exclusive content, showtimes, and easy to use tools. In most cases, a refund of your order returns the cost of the ticket(s) to your whatever payment method you use minus the convenience fee. Exchanging a ticket for a different one does not have a convenience fee, so you will not lose any money. Again, you have up until the posted movie start time to request a ticket exchange. How to Get a Refund for Exchange? For the most part you are able to request a refund through the Fandango app or website, provided that you are requesting before the posted movie start time. In some cases you may be required to contact Fandango customer service either through their online email form or by calling 866-857-5191.